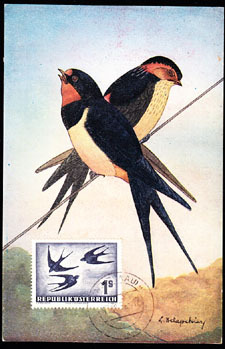 15603 MAX AUSTRIA (1953) Barn swallows*. Maximum card with First Day cancel. Scott No C55, Yvert No PA55.